Marquee Events is a social enterprise which creates personalized, exclusive and once-in-a-lifetime events, summits, retreats and conferences for Enlightened Capitalists and others who are BEING Good, DOING Good and DOING Well. 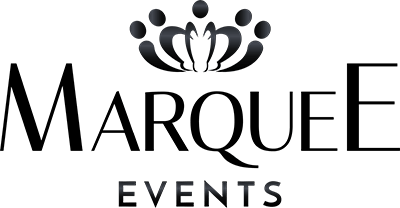 Marquee Events is part of the World Incentive Network Inc. family along with Enlightened Capitalist, Marquee Marketing, Marquee Experiences and Marquee Incentives. As a social enterprise we hire, mentor, coach, and educate marginalized individuals — young people, older workers, long-term-unemployed people, single parents, new immigrants, mentally and physically challenged people and others who could use a hand-up — to be your servers, caterers, event planners, AV technicians, bussers, set-up and tear-down crew, hosts and client care specialists. To uplift marginalized individuals as a social enterprise for life and professional skill development, while providing valuable, relevant and meaningful services for our clients. Creating an exceptional, memorable event that produces a return on investment requires a lot more than finding a venue, caterers, and AV people and that’s where we come in. Marquee Events also hires, mentors, teaches and coaches marginalized people in hospitality along with the technical skills and soft-skills to deliver exceptional service for our clients. These skills can then be transferred into other positions within our Marquee family and beyond. A Social Enterprise that is transforming lives while creating and producing highly engaging events designed to nurture relationships for our clients.